We learn from an early age that certain foods come with certain consequences. That some foods are good and some foods are bad. Which is, of course, completely false. In fact, if you actively manage your food intake, there’s no such thing as a truly bad food. 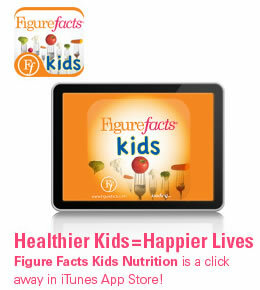 That’s why you need Figurefacts®. A complete, self-directed nutrition program with all the tools and information you need to take charge of your diet and live a fuller, healthier life. A daily food diary that allows you to track your current eating habits, instantly identify areas that need improvement and watch your progress as your healthier eating habits become second nature. A comprehensive listing of the nutrient values of hundreds of everyday and brand-name foods, giving you an accurate picture of what you’re eating. Even fast food is included! Easy-to-use formulas show you everything from your ideal body weight to the right way to space meals and snacks throughout the day. A special section of dietary guidelines customized for all kinds of people at every stage of life. Women, Moms-to-be, Men, Kids, Teens, Seniors, Active Adults and more. New iPhone, iPod and iPad Apps! 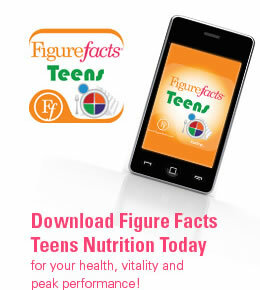 Track your nutrition on the go with Figure Facts. Visit iTunes App Store today! 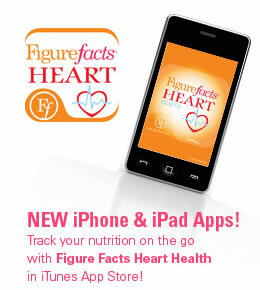 Check Out All Our Mobile Apps!